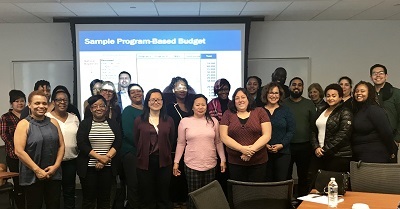 LIIF, the NYC Department of Education and the Financial Management Association hosted two finance workshops in November 2018 for approximately two dozen Early Care and Education (ECE) providers in Metropolitan New York City. These workshops were made possible in part by support from Citi’s Community Progress Makers award. ECE businesses have a triple-benefit for the community: they allow more parents to pursue work or education, employ community members and strengthen women- and minority-owned businesses. Yet, many ECE professionals with backgrounds in education have limited experience managing business finances or managing Department of Education contracts. Attendees learned about budgeting, accounting systems, financial monitoring and reporting on Key Performance Indicators. These workshops are part of ongoing trainings with ECE providers to strengthen the sector.